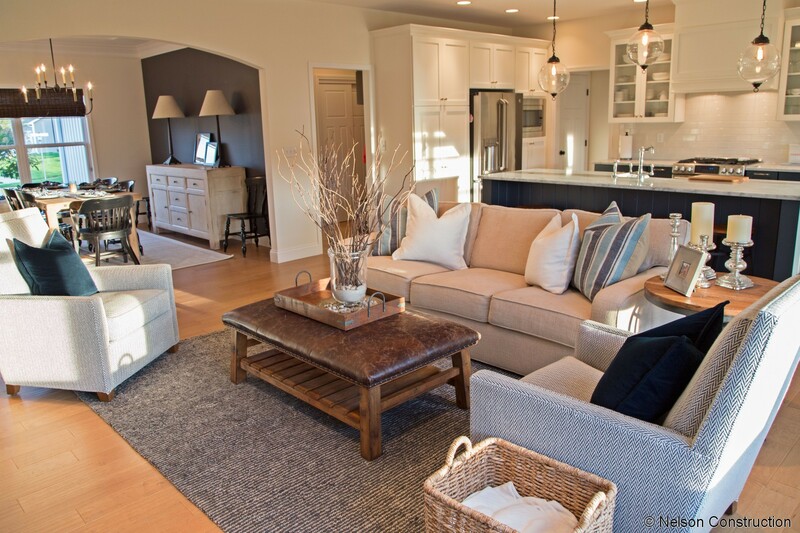 A beautiful transitional design with farmhouse touches, based around a neutral palette and simple textures. Every detail is planned to flow from room to room, bringing a cohesive feeling to the entire home. 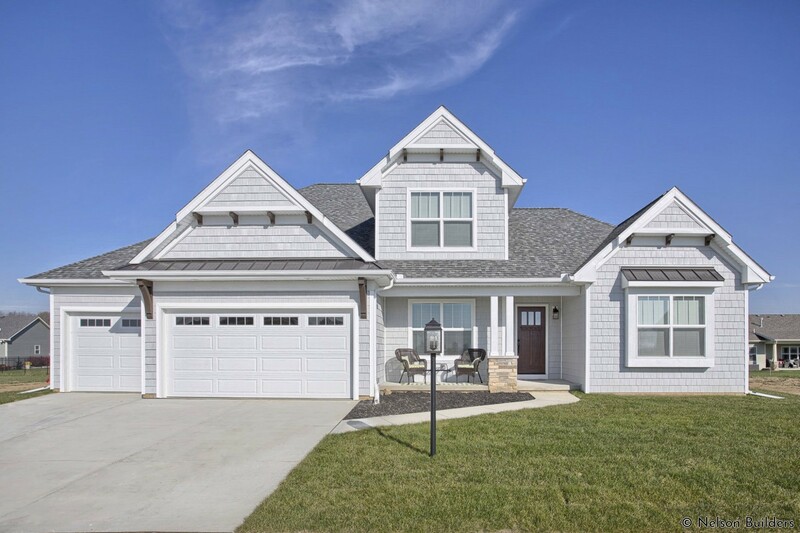 A unique take on the Cherrydale plan features modern finishes with some transitional elements. The use of natural stone and other materials blends to create a one-of-a-kind home. A wonderful designer-inspired home with many unique elements. 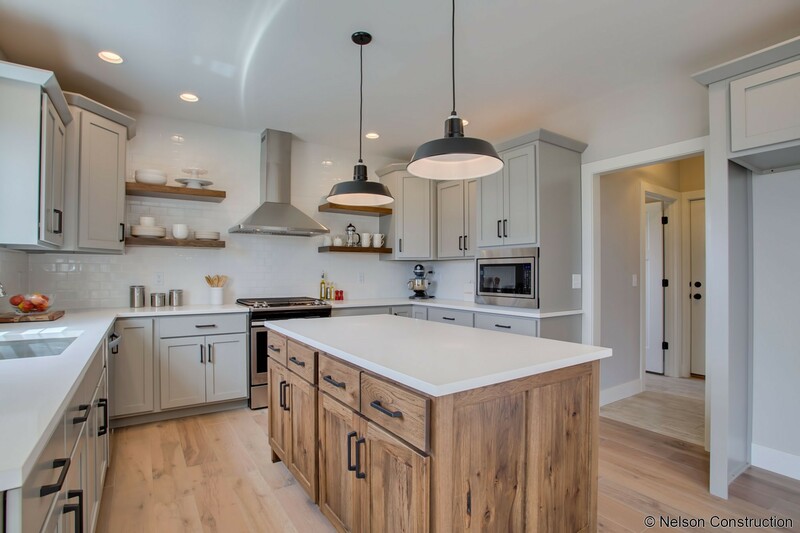 The showpiece kitchen with rustic-hickory island and matching floating shelves pulls from both farmhouse and industrial inspiration. The master bathroom has many levels of detail to make the space feel warm and inviting. This unique farmhouse was a custom build from a client provided plan. The home was designed to replace a century old farmhouse that was torn down as it was no longer repairable. 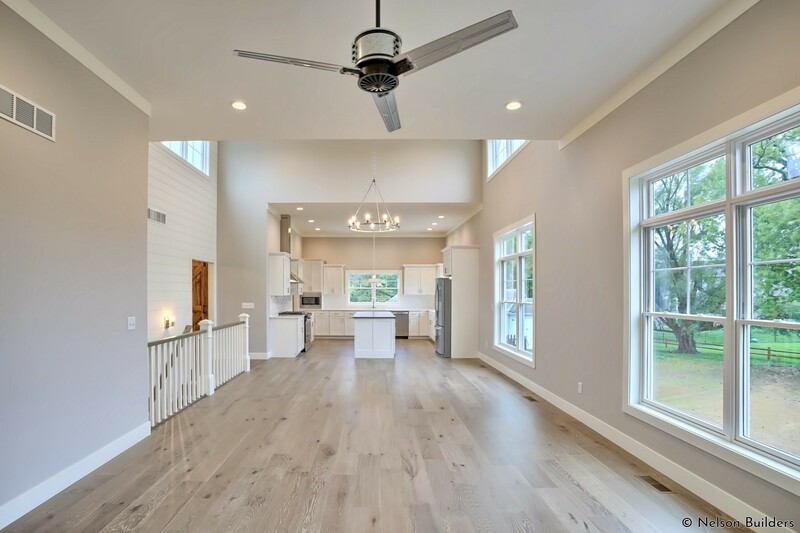 The new home features a large living space overlooking a sunken backyard and has plenty of natural light. It is a wonderful plan for a couple not needing many bedrooms. A unique project in a unique location. This home was a tear-down and rebuild on family land that had been held for several generations. The new home was a custom, client-provided plan that was designed to blend in with the surrounding homes and look as if it had always been there. 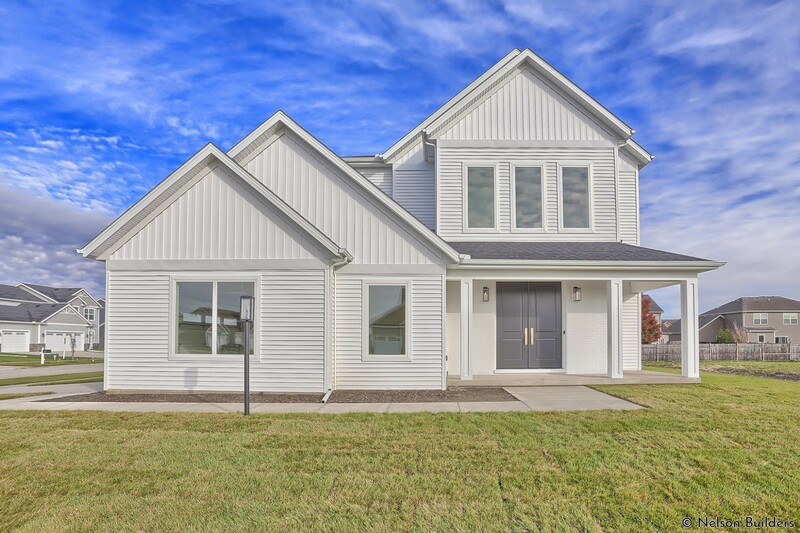 The home features farmhouse style with traditional room divisions. 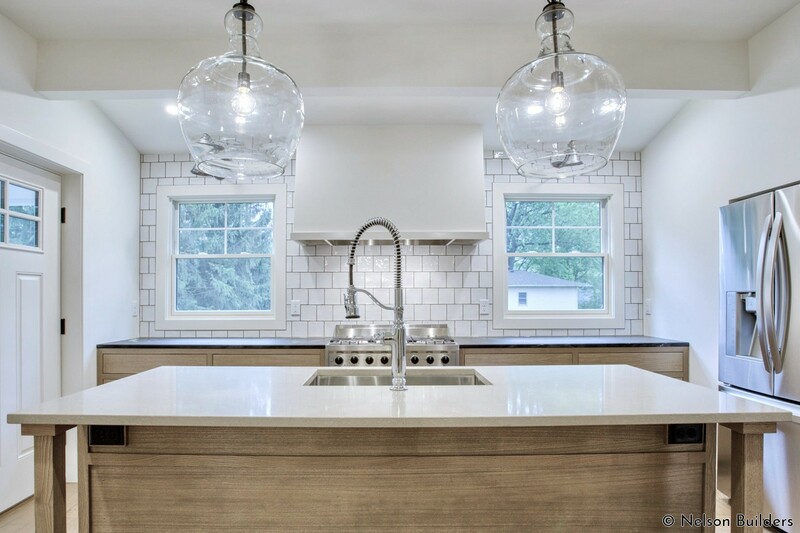 A modified Sycamore plan, this custom build features updated finishes with crisp, clean lines. The family room orientation is changed to bring the focus out over the covered porch. 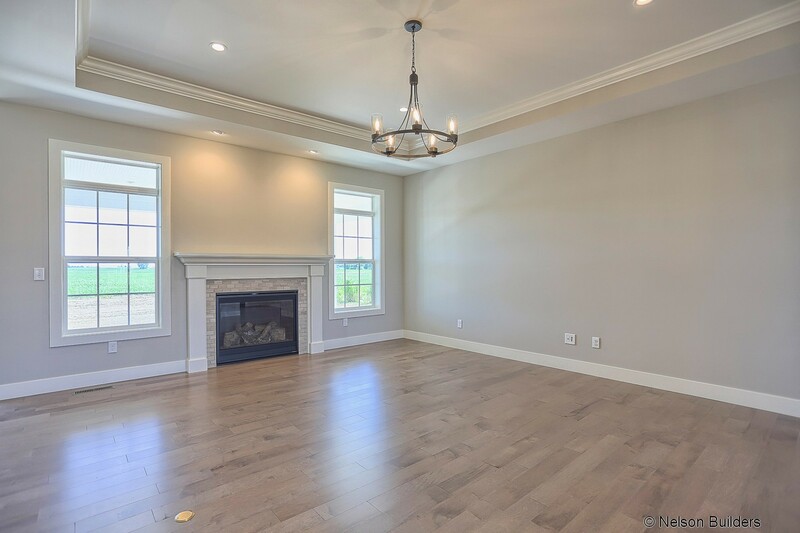 The transom windows flanking the fireplace highlight the backyard and bring in lots of natural light. A stunning model of simple design and clean lines, this project required some unique elements not found in many homes today.